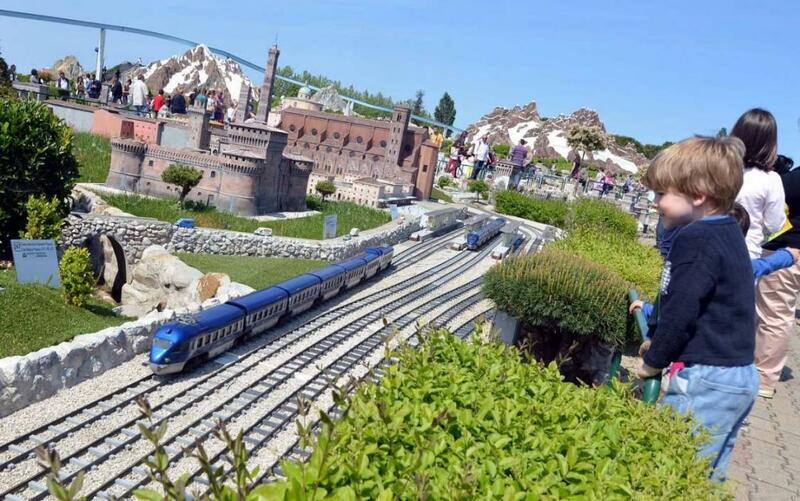 At the Hotel Villa Irma Rimini can enjoy the most beautiful theme parks of the Riviera, we have agreements and special discounts for young and old: avoid the queues and go directly to the park. 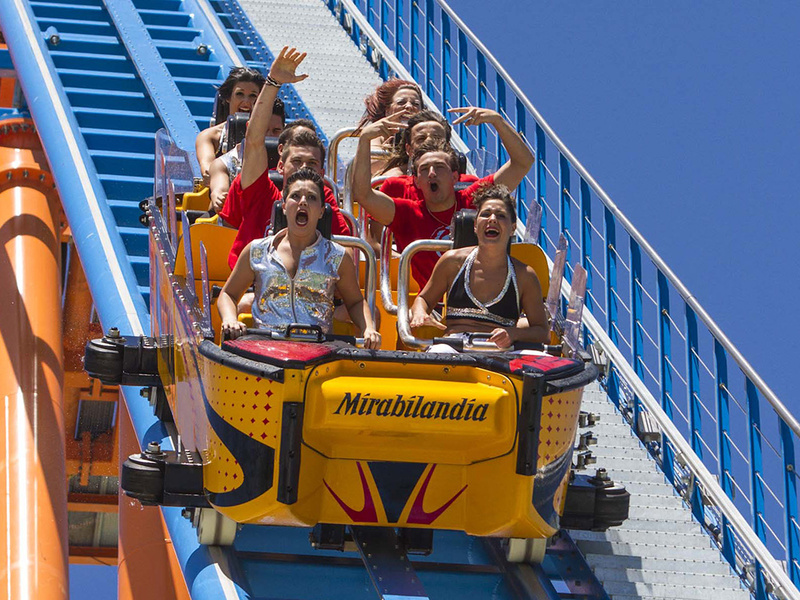 Visit all the amusement parks of the region and take advantage of discount packages that you can find at Hotel Villa Irma Rimini Miramare to take full advantage of all the entertainment options offered by the entertainment capital. 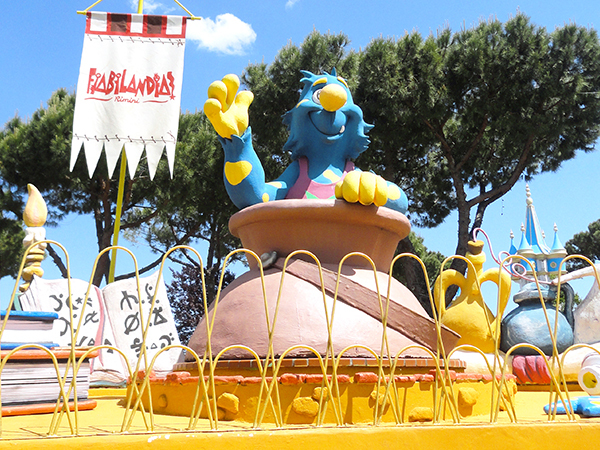 Discover the attractions of the most amusing parks of Romagna and contact us to organize with us your day of play, relaxation and lots of fun! allows visitors to discover the origin of our planet, through the milestones of the Life’s Evolution, from the Big Bang to the Dinosaurs exctinction, till the Ice Age. 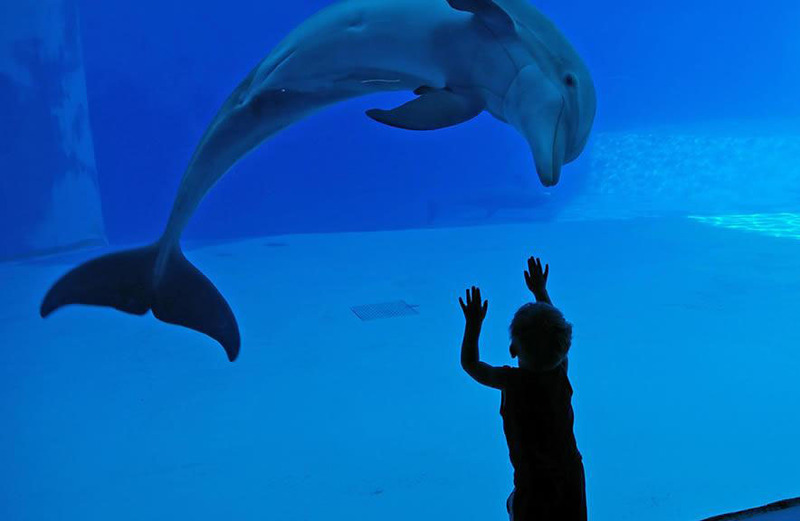 see our 11 dolphins with their amazing show in the largest dolphin lagoon in Europe. See the creatures that inhabit the reefs from the sea horses, the sea dragons to rays and colourful invertebrates. Have a walk through life-size reproductions of mantas, sharks, moonfish and many other marine vertebrates. THE DELTA AND ITS MARSHLANDS – an adventure that will lead you through land and water , through the habitat of the Po River where you can observe the habitats of birds, reptiles, insects, fish and many other typical animal. Enjoy the spectacular flight of the birds of prey and the happiest farm in the world which is populated by the most unruly tribe of animals ever. IMAX offers the most spectacular and exciting cinematographic experience in the world. Two and three-dimension films are shown in a giant screen of over 600 square metres, as tall as a 7-storey building and wide enough to show a razorback whale, spectators have the privilege of visiting and exploring distant places, entering a completely new dimension and living an unforgettable adventure. IMAX goes beyond the cinema: wonder, amazement and discovery. 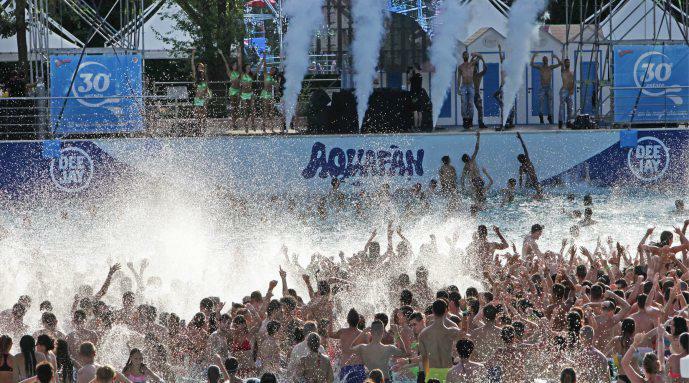 Aquafan, the most famous water park in Europe, owes its huge success to the fact that is not just a water park. In 20 years of activity Aquafan has always succeeded in leaving its mark on fashions and trends. Aquafan aims to offer to the public real emotions, emotions that go far beyond its fantastic waterslides and games and its pleasant, green surroundings. Aquafan is a “Place of Opportunities”: opportunities for living and opportunities for reliving various events, initiatives, gatherings and surprise entertainment that the park has planned to organise for this coming season.